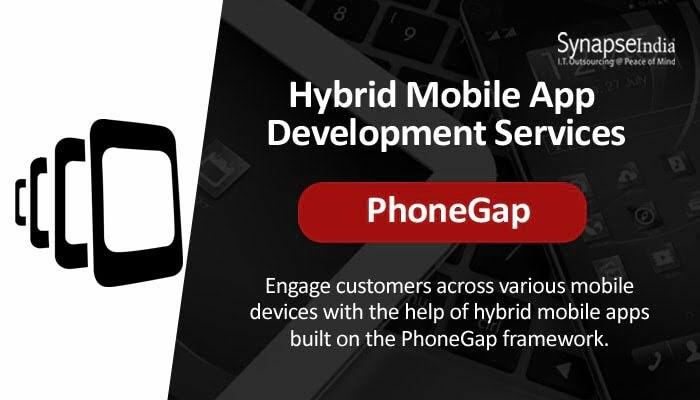 SynapseIndia meets the industry-specific needs of clients by delivering them solutions like PhoneGap apps under its hybrid mobile app development services. Hybrid mobile apps, with cross-platform capability, are crucial to mobile strategy of businesses. In a world dominated by smartphones and a staggering number of other mobile computing devices, the mobile strategy should be paramount. Hybrid apps run seamlessly on both Android and iOS operating systems. The apps feature a combination functionalities offered by Google and Apple - the makers of Android and iOS. SynapseIndia has a team of masterful app developers who can meet every specific features-related need of a client. They are not merely software engineers with expertise in application development but professionals with unrivalled ability to build quality products. They always take a logical and creative approach to mobile app design and development. This approach significantly helps them build apps with a unique UX and an impressive UI.